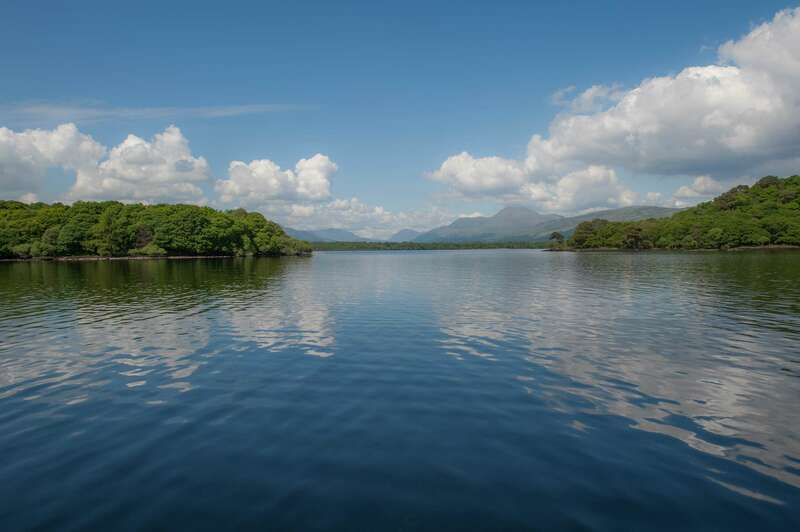 See the ‘Bonnie Banks’ from one of our seven passenger cruisers. All vessels are twin-decked with tea/coffee/bar & toilet facilities. 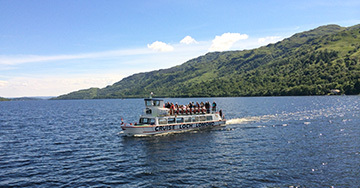 A cruise on Loch Lomond offers you the opportunity to include one of Scotland’s top tourist attractions in your tour itinerary. Combine the cruise with your tea/coffee & toilet stop. Morning coffee, lunch or afternoon cream teas can also be arranged. We operate circular cruises from either Tarbet or Inveruglas, or we can offer a one way cruise between Tarbet & Inveruglas or vice versa. For groups & coach parties we do not operate a scheduled service and would have a vessel for exclusive use at the time that fits in with the tour itinerary. Ideally bookings should be made a few days in advance. Group rates are available. The cruise takes in the fjord-like northern, unspoiled end of Loch Lomond. On every cruise the skipper gives a live, informative commentary on the Loch, local places of interest and the feuding MacFarlane & MacGregor clans. Keep your eyes peeled for deer and wild mountain goats on the hills as well as birds of prey in the sky. For non-English passengers, translations are available on board in French, Italian, Spanish, German, Dutch, Japanese, Mandarin, Cantonese, Taiwanese, Swedish and Russian.